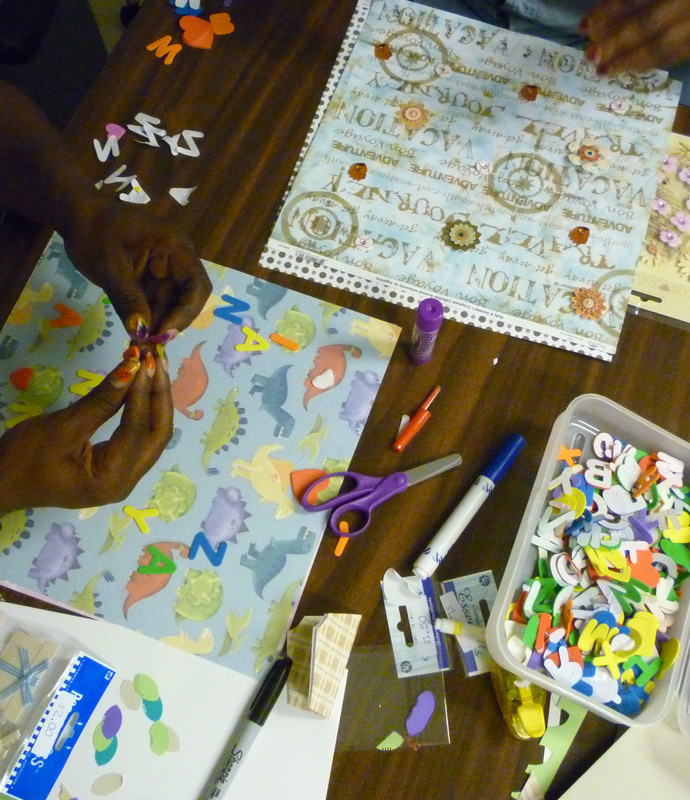 When Elaine Johnson, Calvary Women’s Services’ Life Skills, Education and Arts Program (LEAP) Coordinator, joined the staff this spring, one of the great surprises was closet full of craft supplies. Calvary supporter Ellen Weeren had recently donated a large supply of scrapbook paper, cardstock, stamps, stickers, scissors and more to the growing program. As LEAP continues to grow, Elaine notes that the classes would love to have blank journals, watercolor paper, and ink pads for stamps. If you would like to contribute supplies, please contact Elaine at ejohnson@calvaryservices.org or make a donation to Calvary in support of LEAP.